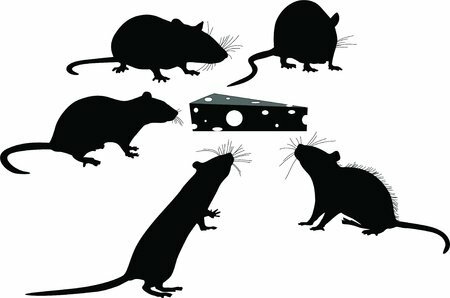 Rat extermination can quickly become a topic of concern when you notice the the telltale signs of this common pest. Whether you see their droppings, nests, greasy rub marks or signs of gnawing, you'll want to alleviate the problem quickly to reduce the chance of a population explosion which can happen really fast due to the rodent's voracious breeding habits. One pair has the ability to produce hundreds of offspring yearly, so a rat infestation can rapidly occur if left unchecked. Rats also carry various diseases, which can be passed to humans, plus they can contaminate food sources with bacterial food poisoning. Eliminating the rodents quickly reduces the chances of humans or pets becoming affected by a malady. Fortunately, homeowners have a lot of choices in rat extermination products, although each one comes with its pros and cons and some are safer and more effective than others. When selecting an appropriate extermination product, consider the infested area’s location and potential size of the rat population. This will help you choose a product that works quickly and efficiently in your particular circumstance. Whatever product you decide to use, always follow the label instructions for safe use and handling, especially when used around children and pets. 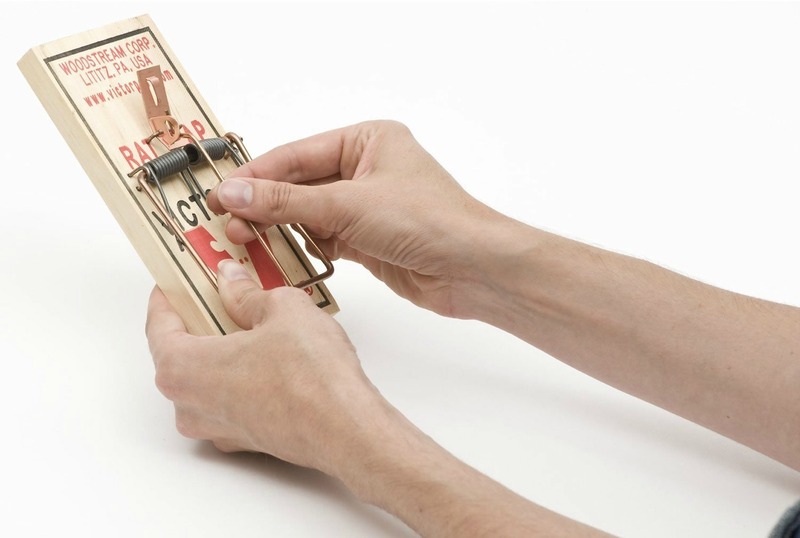 Snap-traps have been a reliable and effective method in rat extermination for years. However, due to their inexpensive price and simple construction, many people might overlook their usefulness. When choosing a snap-trap you have a couple of different options. First you can use the standard old-fashion wooden style Victor snap-trap, or you can choose the newer plastic types that are easier to clean and set. Either one of the traps are suitable for trapping both roof rats and Norway rats so it's really just a matter of personal preference. Using a snap-trap is relatively basic. Place an unset snap-trap in the location of rat activity for several days before actually setting the trap. This will help the rats become accustomed to the trap. Bait the trap with foods such as peanut butter or if your trying to trap fruit-loving roof rats, try using bacon and raisins. Once baited, set the trap to the sensitive setting so the spring snaps easily when the rat eats the bait. Place the trap in areas where rat activity is present such as against wall runways, where droppings or nests are present, inside attics and in the same type of locations outdoors, but place the trap inside a box with a small opening that only the rat can enter. Depending on the size of the infestation, use a baited snap-trap every 10-feet. Inspect traps daily for dead rodents. 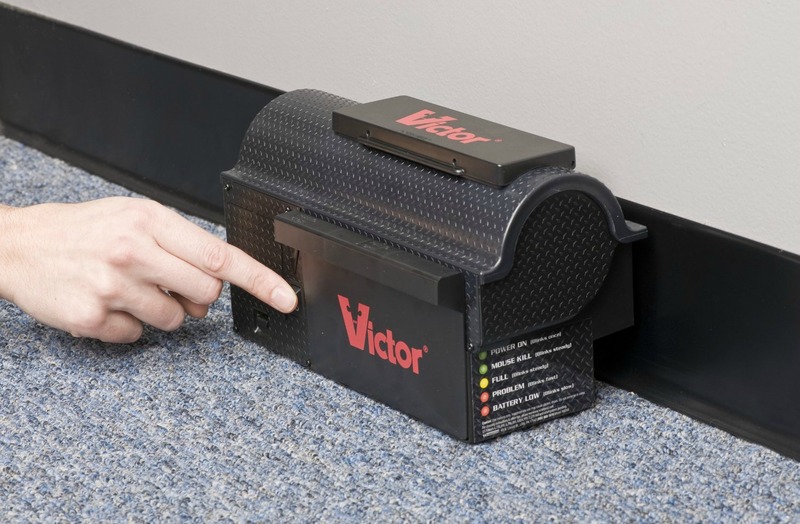 Electronic traps offer the convenience of not having to see or touch the dead rat, but they are quite expensive in comparison to the standard snap-trap. Commercial pest-control companies are most likely to use an electronic trap for rat extermination jobs due to their expensive nature, but they can be a great option for homeowners as well. Depending on the trap, electronic traps can cost several hundred dollars, whereas snap-traps cost several dollars. With electronic traps, instead of the rat setting off a trigger that releases the metal kill bar on the trap, an electronic trap electrocutes the rat for approximately two minutes with 8,000-volts when it steps on the metal plate inside the trap as it tries to retrieve the bait. Once killed, a light on top of the trap alerts there is a dead rat inside. Removing the dead rat is as easy as shaking the box and letting the dead rodent fall into a plastic bag for disposal. As with snap-traps, you don’t have to worry about children or pets encountering toxic materials, making them safer alternatives for rat extermination. Using glue boards for rat extermination isn’t an effective method of control, especially when dealing with larger rodents like rats. Glue boards function under the same principal as flypaper, catching the rat in the sticky substance and it cannot get away. Often, the rat will drag the glue board a long distance from where it was captured as it attempts to escape. Once caught, the rat can take days to die or it’s necessary to kill the rat by hitting it in the head with a sharp blow. To many people this is inhumane and distasteful. Drawbacks to using this rat extermination product outdoors is that it can trap nontargeted wildlife such as birds or lizards. When used indoors, pets can track the gluey substance around the house if they encounter the trap. Live traps used for rat extermination have the upside of not killing the rodent, however, once captured, the rodent needs to be released back into the outdoor environment or killed humanely. Therefore, live traps are not a preferred method for exterminating rats due to the subsequent health concerns they create for humans, pets and domesticated animals when released back into the outside environment. In addition, Norway rats or roof rats are not native species to the United States and their existence in the wild is a detriment to native wildlife such as birds and the ecosystem. Where rat populations are high and continuous, using toxic bait to kill and control the infestation is another rat extermination option, but there are drawbacks and serious precautions one must take when using poison. Toxic baits come in ready-to-use packages and commonly contain an anticoagulant rodenticide that thins the rat’s blood, causing the rat to suffer internal bleeding and die. However, rats are wary and it may take up to two weeks for it to eat the bait, and once consumed, it can take another six days for the rat to die. Once dead, you have to locate the rodent and dispose of it before it decomposes and creates an odor or even worse, pets or other animals find the toxic carcass and become poisoned. Likewise, it’s imperative to place toxic baits out of the area where children, pets or other wildlife frequent. 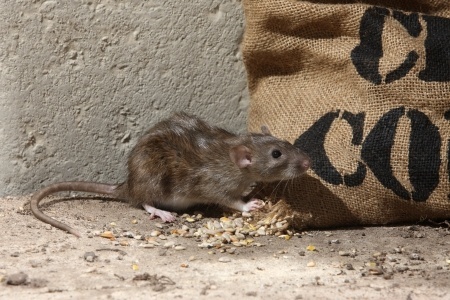 As with using other rat extermination methods, place the toxic baits in locations of known rat activity. Many old wives tales offer various concoctions that supposedly repel rats, though none are known to work for any length of time to offer any real control. Rats are wary of sudden noises or movements, but will soon become accustom to any changes in their environment rendering motion devices useless. According to the University of Kentucky, devices using ultrasonic sounds to repel rats have very limited results for several reasons. Rats quickly become accustomed to ultrasonic noise, the noise is directional and will not penetrate objects, at distances the sound loses its intensity, and scientific data and experiments show the sound will not make the rats leave their indoor environment. 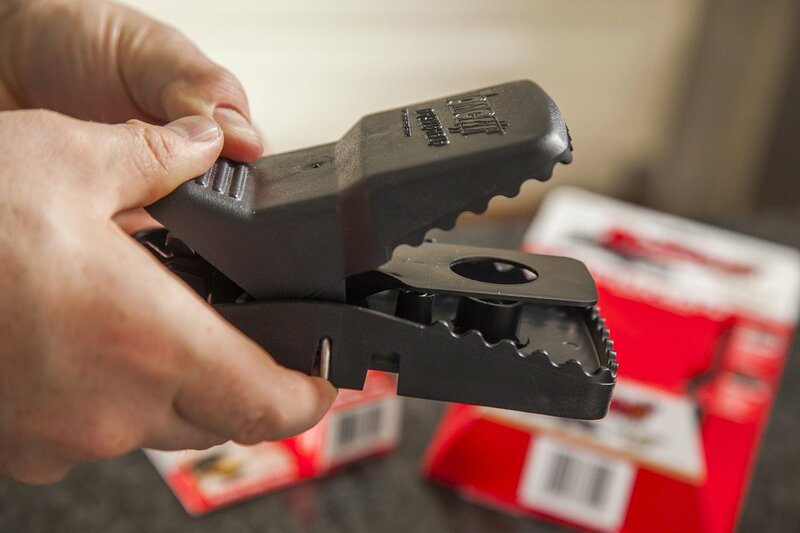 If you're experiencing problems with rats, results show that the standard snap-trap is still the most effective, safest and efficient method to use for rat extermination purposes. The traps are cheap, easy to set and most importantly they work!